McNary senior Annie Purkey will be busy at the Oregon Thespians State Festival on April 6-7 in Salem. Along with performing in Defying Gravity, which was selected as one of two high school plays in the state to be showcased at the festival, Purkey will also compete in solo acting after finishing in the top 10 percent of 77 entries at regionals in February. Actors perform two contrasting monologues totaling three minutes in front of a group of judges. When picking her pieces, Purkey chose two male characters—Rosencrantz in Rosencrantz and Guildenstern Are Dead and Shylock in The Merchant of Venice. Rosencrantz gave Purkey the opportunity to practice a British accent, which she learned in an advanced acting class at McNary. The Merchant of Venice, in which she plays a persecuted Jew, allows Purkey to tackle a more serious subject. “I chose that one because it is so relevant to today,” Purkey said. “I wanted to do something important. A lot of it has to do with racism and it’s something that’s a huge topic in today’s society. The top 10 percent at state will then perform in the Elsinore Theatre but Purkey won’t get the opportunity since she’s also in Defying Gravity and students aren’t allowed to be on the stage more than once. “It’s just another chance for me perform and get feedback from the judges,” Purkey said of the competition. Bringing back Defying Gravity, which the McNary theatre department performed back at the beginning of November, has been surreal. “Whenever shows close, we do a very staged speech after we strike everything and then we have the bare stage to look at and it’s like the transforming nature of theatre so I always come to terms that I’m going to put this character to rest and do something new now,” Purkey said. Staying busy isn’t anything new for Purkey, who played Grandma in The Addams Family musical in January and Lenny in Crimes of the Heart earlier this month. She also won first place in the two-dimensional category at the annual Keizer Art Association show in February for her drawing of former President Abraham Lincoln. 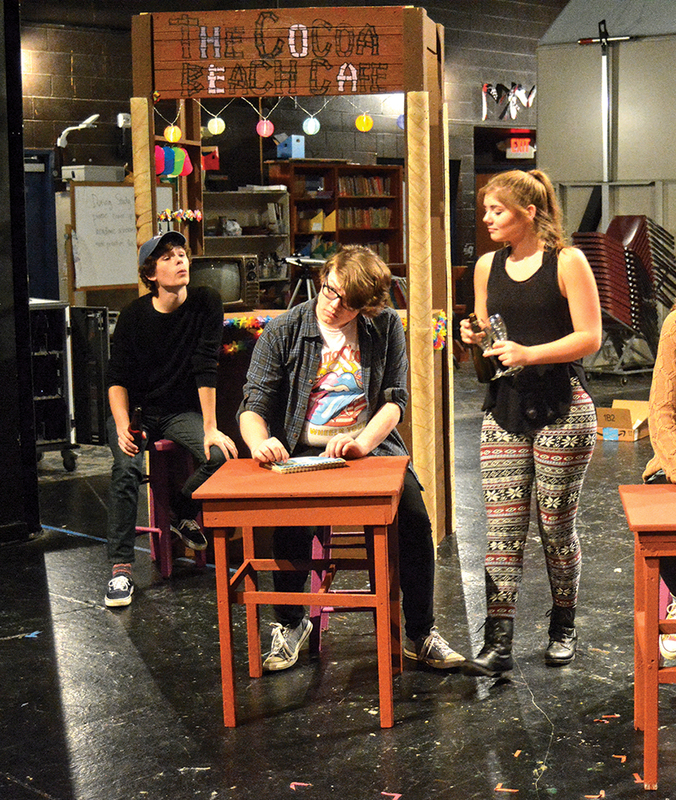 While Purkey isn’t sure she’ll do any theatre after high school, she is appreciative of what it has taught her. “I think it’s good skills to have anyway, a lot of things, people watching and empathy, which has been great and made me who I am,” she said. Judy Craig is looking for local seamstresses willing to turn out a sloth of cloth bears while learning some new skills along the way. Last week, Craig, owner of Bernina Stretch & Sew Fabrics on River Road, launched the store’s RARE Bear campaign. 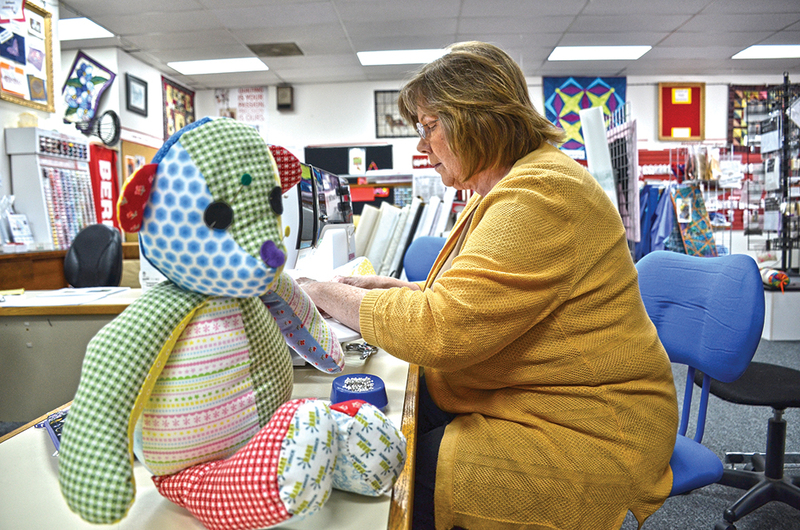 Over the next few months, she’s inviting patrons and newcomers to visit the shop for a five-hour sewing lesson that results in a stuffed bear that will be given to a child with a rare disease. “Each bear gets it’s own tag that’s sewn in with a serial number that is assigned to the maker. When that bear is given out, they’ll send a picture of the child with the bear to the person who made it,” Craig said. Craig is hoping to turn out a sloth – the name for a group of bears – of 35 bears by the end of June. After just two sessions, she’s already got four on-hand. The workshops take place in a single, five-hour day with a break for lunch and cost $10, but the fabric is pre-cut and provided free to participants who get to take home the pattern. Craig’s two students on Monday, March 24, were Betsy DiNitto and Bev Ikeda, neither of whom had experience with the type of sewing required for the project. “It’s the first time I’ve tried a project like this. I’m used to clothing,” said DiNitto. Ikeda said she was looking forward to putting what she learned to use on other projects that have been lying around her sewing room for years. “I have a bunch of patterns for stuffed animals like these, but I never quite knew how to start them,” Ikeda said. For those with experience making patchwork items, it might not take the full five hours. “I think it really depends on what they’ve done before,” Craig said. RARE Bear workshops at Bernina are scheduled on the following dates from 10 a.m. to 3 p.m.: April 19 and 21, May 1 and 13, and June 13. Space is limited to five-per-class. Call 503-393-0132 to register. The program is a partnership of RARE Science, which focuses on accelerating identification of more immediate therapeutic solutions for kids with rare diseases and lowering the barriers to rare disease medical research, and Switzerland-based Bernina. Another couple of weeks in the Oregon Legislature and the days are long here at the Capitol, but each one seems to go by quickly as they are full of committee hearings, research, and meetings with constituents and others regarding specific bills. There are many conversations being had about the budget and what is being called the “transportation package,” but it’s currently too early to tell what will be included in those bills. While we are waiting for the details, we are moving a few bills every day on the House floor. I am always glad to hear from constituents and recently I have heard from a lot of you on some important issues. We are currently being bombarded by emails from concerned homeowners regarding House Bill (HB) 2771 and HB 2006. Among other things, these bills would eliminate the property tax deduction as well as cut the mortgage interest deduction. I am not a fan of discouraging home ownership, but rather encouraging it. We have received many phone calls and visits regarding PERS. This is such a huge issue that impacts our entire state in many ways. Previous legislatures have voted to cut benefits that were already contractually agreed on, and the courts have struck those down. We need creative solutions to solve this crisis, but they need to be constitutional solutions and I believe we must do it this session. My wife has been a teacher for nearly 30 years so I constantly hear about the struggles in our K-12 education system. I have personally advocated that the K-12 budget be separated from the rest of the budget and require that it be voted on by March 1, so that our local school districts have certainty going into their own budgeting process each year. I can assure you that the minority party and I are very much in favor of a much larger budget for K-12 and want it passed right now. We have been told the schools are asking for $8.4 billion. We are asking the co-chairs to get that to the House floor right now for a vote. Recently I had several farmer constituents drop by the office to talk about Senate Bill 779 as well as receiving a very good amount of emails from farmers in the St. Paul area. This bill would provide clarity for agricultural employers regarding the sick leave legislation that passed last year. Many of the farmers in my district have reached out to me on this, and I am hopeful that the bill will come out of the Senate to the House where I will be able to vote for it. By far however, the bill that I have heard from you all the most has been HB 3017. It is the ban on late term abortion. I have been gratefully stunned by the number of constituents who took the time to thank me for co-sponsoring that bill. I want to thank them for their support and very kind words. On February 23, our state senator, Kim Thatcher, argued in The Times against Oregon signing on to the National Popular Vote Interstate Compact (NPVIC). NPVIC states allocate Electoral College votes to the presidential candidate with the plurality of votes across the country. NPVIC does not change how the Electoral College works. It changes the way states signing it allocate their votes, a state right under the Constitution. Senator Thatcher seems to prefer the congressional district method that “give[s] the states better representation within their own geographical diversity.” This method moves the level of control from the state (winner take all) to the district. It does not protect “minority opinions or different ways of life” within districts, especially gerrymandered districts or districts with voter suppression laws in place. Analyses of how the congressional district method might work assume all states adopt this method, therefore eliminating state choice. The only way to ensure every person’s voice is heard is to base presidential election results on the national popular vote. NPVIC only goes into effect when states with 270 electoral votes sign on. 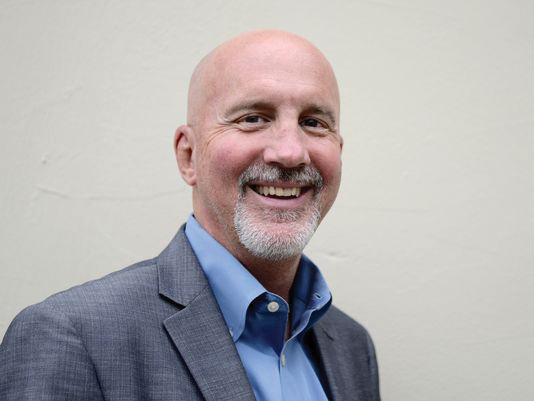 If you want Oregon to sign onto NPVIC, contact Senator Thatcher and your state representative today. The central promise of the Trump administration—the repeal and replacement of Obamacare—has failed. The central premise of the Trump administration—that Donald Trump is a brilliant negotiator—has been discredited. In the process of losing a legislative battle, Trump has lost the theory of his presidency. The lessons, however, run deeper. Like other politicians before him, Trump ran for office arguing, in essence: Just give my party control of the elected branches of the federal government and massive change will quickly follow. Many Americans believed in this promise of winner-take-all government. The American system of government—with its constipated Senate rules and its complicated House coalitions—is designed to frustrate such plans. But the closeness of recent national elections has encouraged partisan dreams of political dominance. Republicans had control of the House, Senate and presidency in the 108th Congress. Democrats had the same in the 111th Congress. Now Republicans have it all in the 115th Congress. Total control is intoxicating. The winners feel like they have a mandate, even a mission. But the losers know, if they maintain partisan discipline and prevent achievements of the other side, they have a realistic chance of winning it all back. This leads to a cycle of hubris and obstructionism. How can this cycle be broken? There is only one way. Someone must do genuine outreach, involving the credible promise of compromise, from a position of strength. It is the winners who must act first, taking the risk of offering a hand that may be slapped away. Then it is the political losers who have the responsibility to reward good faith. Obamacare—passed in a partisan quick march and viewed by some Republicans as the focus of evil in the modern world—may not be the most promising ground for agreement. The same may be true for tax reform, which involves a thousand well-funded special interests. But genuine negotiation might be possible on an infrastructure bill. The same might be true on legislation designed to increase the skills of 38 percent of American workers whose jobs are threatened by automation. And at least one culture-war issue belongs on the list: religious liberty. Many religious conservatives imagined they would, at this point, be in a defensive crouch. Instead, unexpectedly, religious conservatives find themselves in a position of relative strength, as one of the main contributors to Trump’s victory. It is possible they will squander their standing on repeal of the Johnson Amendment that restricts political endorsements from the pulpit — a change that few have demanded and none really need. Instead, they could use their influence to encourage genuine pluralism, with benefits that are shared and nonsectarian. What would the elements of a legislative compromise look like? It would need to allow institutions motivated by a religious mission, including religious schools and charities, to maintain their identity. Religious liberty involves, not just the freedom of individual belief but the freedom to create institutions that reflect a shared belief. But any realistic agreement would also need to include broad anti-discrimination protections in employment and services—including for gay people—outside of the strong carve-out for religious nonprofits. Religious conservatives would need to accept sexual orientation as a protected group in economic interactions. This is consistent with what Jonathan Rauch calls “the obvious compromise: protections for gay people plus exemptions for religious objectors.” In practice, this would allow religious people to organize colleges, hospitals and charities according to their beliefs. But the cake baker would need to bake for everyone. The florist would need to sell to everyone. The strongest advocates on both sides of this issue will find any compromise abhorrent. But it could be powerful for religious conservatives to attempt outreach from a position of political strength, And Donald Trump, oddly, may be the leader to get this kind of deal. He broke ground among Republicans in recognizing LGBT rights in his convention speech. But he is also close to religious conservative leaders. And just about now, Trump needs a way to reconstitute the meaning of his presidency. I am writing in response to the recent article in the Keizertimes about a proposal to add five officers to the Keizer Police Department. I exceptionally and greatly support this proposal; it is greatly needed and overdue. I only wish that there could be more officers added. I enjoy the system of parks that the city of Keizer has and they are very nice but I think that it is more important to have additional police protection. The recent burglary covered in the March 24 issue of the Keizertimes illustrates this point. More police means more coverage and more coverage means less crime. Suspects are more likely to be caught and locked up. By having more officers on the streets the word will go out through the criminal network that Keizer is not open for business. Criminals will not be welcome here and they should just move on and go somewhere else to commit their crimes. I have been a victim of crime and reported it to the police. If there had been more officers and more resources available to the department and the officers then maybe the case could have been resolved instead of going cold and me having to pay out of my own pocket for a private investigator and lawyer with my limited resources. It is important to have a safe community and for the residents and others to know that they are safe and well protected. New residents and businesses, especially those that provide good living wage jobs will not come to an area that is not safe and well protected. I think that we all aggree that Keizer is growing and will continue to grow and that employers who provide good jobs that pay a living wage with benefits are what we seek and they will not come to an area that it not safe and well protected. I don’t mind paying more taxes to have good police and fire protection. If that is what it takes to make and maintain Keizer as a safe and vibrant community and the place we all want it to be. 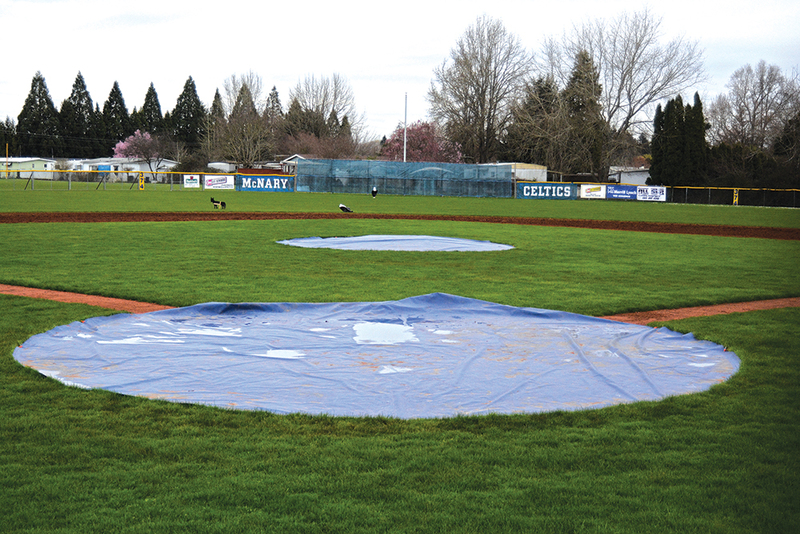 As for parks, the city of Keizer prides itself on volunteerism. What is wrong with having volunteers, churches, youth groups such as the various scout groups and those required to do community service perform these tasks.